Study abroad at Corban University develops responsive, globally engaged Christians who will make a difference in the world for Jesus Christ. Consider your calling and career while earning credits toward your Corban University B.A. or B.S. degree abroad. You’ve probably heard that “travel is the best education.” But studying abroad through a Corban-sponsored program allows you to. Make a difference: Become a life-long learner, committed to cultural understanding in an ongoing process of learning, growth, and adjustment. Grow closer to God: Emerge from study abroad with a worldview wider than Salem, Oregon, or North America. Practice cultural responsiveness: Connect with your host families, communities, and countries. Connect study abroad to academic success: Integrate study abroad into your field(s) of study. Carry out the Great Commission: Know the place of your faith in the world. 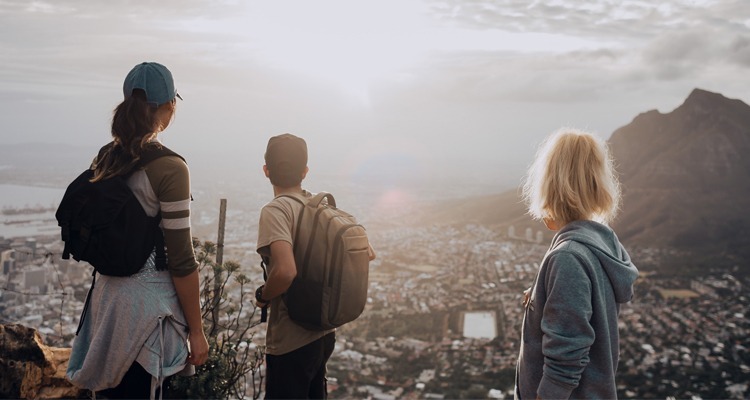 The CGE supports students on all levels of the study abroad process to foster holistic and meaningful learning before, during, and after study abroad. Come to us for help finding a program, evaluating the best options for your strengths and skills, finding financial aid, and planning study abroad within a four-year degree cycle. From pre-departure training to re-entry and reflection, the CGE is here to help your study abroad experience flow smoothly. ASP prepares students for faith-based engagement with the nation’s leaders in Washington, D.C. ASP is ideal for students interested in communications, history, journalism and political science. ASC allows students to choose from a wide range of electives and ministry internships in sunny, urban Brisbane, Australia. ASC is one of the most flexible study abroad programs available at Corban, allowing course substitution for general education requirements or upper-division major-specific requirements in most majors. CMC will equip you to learn the ins and outs of the music industry, whether as songwriter, producer, audio engineer, or manager. CMC is ideal for music majors. GO ED Africa in Kigali, Rwanda, offers cross-cultural learning environments, a unique set of courses taught by local academics, a four-week field practicum, opportunity for forming deep relationships in shared community, and spiritual transformation. GO ED Mekong in Chiang Mai, Thailand, offers cross-cultural learning environments, a unique set of courses taught by local academics, a four-week field practicum, opportunity for forming deep relationships in shared community, and spiritual transformation. LAFSC students hone the science and art of storytelling through film. Pursue your passion in visual communications while taking internships and engaging with film industry experts in Hollywood. LAFSC is ideal for media arts majors. LASP in San Jose, Costa Rica, offers an immersive Spanish-language homestay, classes that foster inquiry into the language and cultures of Latin America, and the chance for a hands-on internships in a cross-cultural setting. LASP courses complement Corban’s general education courses, are especially suitable for majors in history or English, and can partially provide the foreign language credits for a B.A. Earn general education credits in humanities, foreign languages, and intercultural studies while engaging in the culture and history of a 6,000 year-old civilization. Engage in peace and reconciliation studies in the context of the Irish Troubles while exploring beautiful landscapes studded with ruins and rich in church history. Spend a semester as a Registered Visiting Student of Oxford University. Take rigorous academic tutorials from leading experts in your discipline and prepare for graduate school. Immerse yourself in an academically stimulating four-week summer at Oxford. Benefit from the unique format of a one-on-one tutorial with an Oxford tutor while engaging in group seminars. Ideal for select major-specific upper-division credits. From the base of Seville, Trinity Christian College offers an immersive Semester in Spain for undergraduates of all language levels. Choose from three language levels (beginning, intermediate, or advanced), three terms (fall, spring, or summer) and a host of extracurricular and service-learning opportunities. Form lifelong relationships and deepen your faith in Mukono, Uganda. Highlights include homestays with Ugandan families and a 10-day trip to Rwanda. Choose from an extensive range of electives in theology, the humanities, and global health. Contact global@corban.edu as soon as possible to begin the pre-application, financial aid, and course substitution processes for study abroad. Visas, vaccinations, and other arrangements may take time to arrange, so plan ahead and act early!